Just a quick note before you begin reading about measuring…. 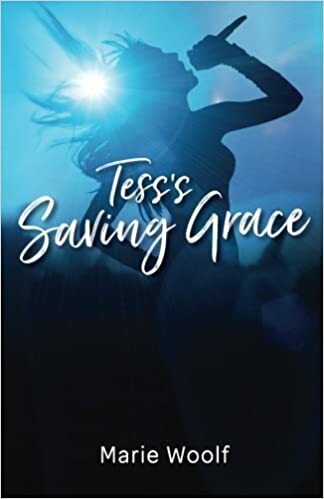 My sister, Marie Woolf, just published this fantastic new book called “Tess’s Saving Grace”. “Tess, a famous rock star, leads a wild and crazy life. Everyone is shocked when she decides to have a baby but refuses to identify the father. Her daughter Grace manages to grow and thrive in the chaos of her mother’s rock ’n’ roll lifestyle. But, as a teenager, she longs for a “normal” life with friends her own age. When she talks her mother into letting her go—under a fictitious name—to an elite boarding school, Grace discovers a number of things about her mom—and herself—that she never expected.” (Available at Amazon.com). This book is a quick and delightful read that makes you laugh and cry and laugh again! Americans typically measure ingredients by volume, while just about everyone else measures them by weight. Here is a quick summery of some of the basic cooking conversions. At the end of this post there are links to food specific online conversion calculators. (Not Recommended: Many food sites have a widget on their sites called the Culiverter. This calculator is not food specific which is why I do not recommend using it. As I have written about elsewhere on this site, cooking with weights is so much easier (but as that’s what I grew up with, I wolud say that wouldn’t I!!). The best site I know for conversions is at convert-me which is great for food as well as a host of other sorts of conversions. I love the conversion chart ! I will be using it often ! Thanks !!! Thanks Lillian! My summer project is to develop every chart imaginable for cooking. Yikes! Well maybe not every chart but a really good reference for all cooks! What charts would everyone like to see? If you could develop a chart that converts cup = milligrams / mililetres it would greatly help this metric user in England! thank you, thank you, thank you so much!! This is such a huge help. I felt so dumb for not knowing how to convert my grandmother’s recipes but now I can cheat! Many thanks! I love this site it helps alot with cooking! Lex, good luck recreating what I am sure are old family favorites! Hi Lesa, glad I could help! Measuring ingredients should not be complicated but unfortunately everyone around the world uses different measures for what ends up to be the same amount! I am trying to figue out how many teaspoons of salt would be in a 1,500 mg suggested serving? I find all answers except the one I need. Can you help??? Thanks. 1500 mg of salt is just a bit more than 1/2 teaspoon of salt. Sorry Jonathan, but I really have no idea how to answer your question! This Nutrition Data link may be able to supply you with the information you need. How do I measure 1/2 pound butter? While trying to figure out how much salt is in a pound of butter, my label states 90 mg. per 1 Tablespoon so 1#=452 grams of salt. Then you wrote 1 tsp.=2300 mg. sodium x3=6900 mg per Tablespoon. Help! my diet gives me 40g of cereal. How do I measure this,what I have done is 4 dessertful which I hope measure 40 grams. All cereals do not weigh the same. 40g of one cereal may actually be a lot less or a lot more than what you think. In my grocery store you can buy small, single serving packets of cereal which takes the guess work out of measuring. I think your best best might be to invest in a small food scale. The answer to Jonathan’s question about salt in his recipe–for labeling purposes the amount of sodium is listed as a percent of daily reccomdations which is 2300 mg/d for adults. Sodium is 39% of the weight of salt (sodium chloride). So you convert the measure of salt into milligrams of salt and then calculate the sodium content. One teaspoon is approximately 5 grams or 5000 milligrams. This is the best site i have ever found for cooking…… i m a hotel management student and your site helps me a lot. How many cups are there in a kilogram?